Well the newspapers and television are full of features recalling few things like “Best of craziest Bollywood moments of 2012” or the “Best of wardrobe malfunctions of 2012” or the “Best of divorce/separation of 2012”, I will not make an adventure to test your oomph level and will draw your focus on a serious affair i.e. investments. Each year I try to focus on what next in investment domain. Hence my first post of 2013 shall be on “Best Mutual Funds to Invest in 2013 in India”. I have covered top schemes of Equity as well as Debt funds so that you can think of building a proper portfolio. You can also download consolidate factsheet of equity funds from the end of post & also check technical ratios sheet of the selected funds. In congruence to your financial goals. As per your risk appetite. As per asset allocation process. Last year we did some similar exercise “Best Mutual Funds to invest in 2012 in India” [you should quickly go through this to understand how fund categories are defined] but last year there was single criteria that fund should be five star rated by value research. This year we have added few more filters. Ratings can give you first level check to fund selection but you should understand that they are based on past data & can’t predict future. I have considered Rs 2000 Crore as minimum fund size for equity funds. This is a risk-adjusted measure used to gauge the extent to which a manager has added value to the returns that could have been expected from a benchmark portfolio, while taking into account the fund’s sensitivity to that benchmark. So this is a test of whether a fund has achieved a better performance than its Beta would suggest: a positive Jensen Alpha indicates an active management style with superior stock-picking ability; a negative figure is produced if returns are falling short of the adjusted benchmark return. In simple words Jensen’s Alpha will tell you – has your Mr Fund Manager contributed some returns. I have avoided funds if there is change of fund manager in last 1 year. Same applies to L&T Funds which were earlier managed by Fidelity Amc. Read – What should investors do with Fidelity Funds? I repeatedly keep saying that it’s not about fund selection which will generate returns – its more about your behavior. “Investing is not a Number Game it’s a Mind Game.” I shared a post in May 2012 “Its tomorrow that matters” – read comment section. You can clearly see people were in panic & what happened after that can be seen in First Graph. I have not covered Sector Funds here as I don’t think there is much point in talking about the same – if someone want to know why, he read this article – Sector Fund guide. Also download equity fund factsheet from end of the post. Filtering Criteria of Balanced fund are similar to diversified equity funds – only change is I have considered funds with asset size above Rs 500 Crore. You can also read this article – Balanced Mutual Funds – best of both worlds. Rational behind selection of these funds is just five star rating from value research & Asset under Management of Rs 100 Crores. To understand Debt Funds – read Bond & Debt Fund Guide. Links: You can download consolidated factsheet of equity funds from here & can also check technical ratios in these sheets. 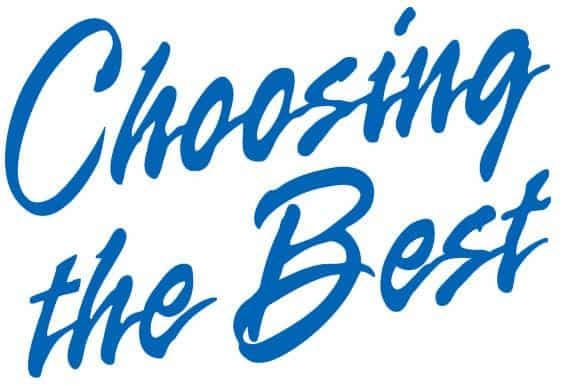 Personal Disclaimer – I am not suggesting you any of these funds – you should consider “Best Mutual Funds to invest in 2013 in India” as a random list of funds. I am a regular reader of ur blog and try to follow ur suggestions. As usual this is a great article for financial planning. I request you to write something about year end TAX planning if possible for salaried people. It would b really helpful. I will try to add that next week. One basic question……what is the difference between ELSS MF (say ICICI Prudential Tax Plan) vs Pure MF (say ICICI Prudential Focused Bluechip Equity) apart from 3 years of lock-in period and tax advantage for the ELSS? Thank you for your time to guide us. I am investing Rs 1000 for each every month that goes to Rs 5000. I am thinking of putting in some more money in SIP about Rs 4000. I was confused, shall i put my money in ELSS, Equity, Midcap or in Liquid MF plans, Fixed Maturity Plan (FMP), Monthly Income Plan. Should i go for these Liquid MF plans, Fixed Maturity Plan (FMP), Monthly Income Plan??? which are the good plans in these categories. Please reply. Thank you in advance for your patronage. Selection of funds is based on the objectives of your investment. i recently see your sectorial fund……it was really great…. if u can add my suggetion write a blog on trigger facility …..there are no such on blog on that topic…..
in these catagery thr r no such blog…. u r mine encourge idol …. due to my last module ….lack of time to read ur blog…. i knw u hate blog word so put as u like..
thanks for converting a financial illiterate like me to semi-literate. You are one of the persons who have made a difference in my life. Thanks! Keep up your awesome work. Frequent changes in portfolio are not required. I did not mean frequent changes in portfolio. so that proportion of the two remains constant. nice article to start off the new year. Any specific reason to exclude fund size <2000cr? I ask because there is this diversified equity fund from Quantum AMC called Quantum Long Term Equity Fund which is rated quite highly by many, however its fund size is <2000cr. i compleatly agree ur view …bt hemant sir hav choose his selecyltion crieteria…. no doubt qltef r top performer…. if invester have gd knwlge than he can do research…. Every rule has some exceptions. Thanks for guiding and enlightening users like me. It feel great to read your articles and helps us in understanding the financial planning. I have been a regular visitor on your blog site and must say I have learnt a lot!!! Understand what you are saying but a rear-view is the only view available. One cannot get carried away but one does need a foothold to start. Maybe I am wrong but I sense some frustration at the start and end of this article. 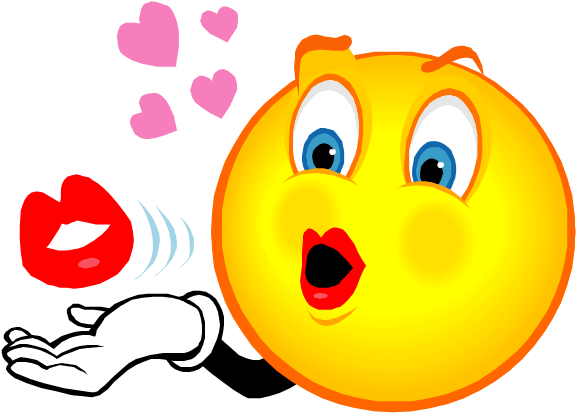 Why you are feeling I am frusted while writing these sentence – in first bracket what I have mentioned is on lighter note because people are not investing in equity due to recency effect. Last line I have written because I don’t want to take responsibily if people take any decisions based on this list. Have you read Sundar’s comment…. Sorry, that was the feeling I got. Glad that you are not frustrated. There is no middle path. Well there is, it is called free advice. Besides being bad manners especially when directed to a professional like you, it is extremely dangerous to ones financial life. Hi Hemant, i was hoping to get some response/opinion from you for my post. Could you suggest if an individual have the investment horizon of say 10 years through SIP then out of UTI equity(G) and UTI opportunity (G) which one should be looked good in terms of fund appreciation. 1. If we do additional purchase on existing SIP, will folio no remain same? 2. Can we increase SIP amount without first stopping existing SIP? 3. do you consider SBI Emerging Business as a sectoral fund? If so, why? Yes to first two questions and no to third. Over a period of ten years it is not possible to predict the performance of a fund. You have to keep tracking the performance of your fund. Not possible to answer this question. ur first q ur folio will be same bt if folio wont be same then it wouldnt treat as a additonal purchase..
2 u can go with addtional sip nt stop as ur first sip …your both sip will earn return…..bt y u r doing additionsl sip with same fund u can try other fund also as per ur convinient…idfc premier quntum fof bsl frontline equity fund r best no doubt sbi emerging buss. also good fund …. go ahead its good fund.. I am a 27 years old single person. My take home salary is 15000 rs. Recently i started investing in MF via SIP. My investment horizon is long term. Do i have to make any changes to it? Please help by giving your feedback. Thanks for the reply Anilji. I am thinking of adding one multi cap and one small cap fund to my portfolio. Is it a diversified equity fund or a small and midcap fund. I am confused because some site mentioned it as a div. fund and in your post it is mentioned under small and midcap. There are different categories of diversified equity funds. For proper diversification it is better to have funds of different fund houses. You can consider Quantum and IDFC funds. Anilji, thanks for the reply. But i am still confused about the diversified or small and midcap status of the Reliance Equity Opp. fund. Diversified is a broad category under which equity funds of all market caps come. Category of the fund based on market cap keeps on changing with change in fund portfolio. My comment seems to have vanished due to some server error. I have been looking forward to this article. You seem to have read my mind. I am invested in many of the funds included in this list for the past three years. Performance of some of these funds has been dismal during 2011. I am glad that I persisted with them and my patience seems to have paid now. 2012 has been a complicatd year. It is strange that it has been very bad for the economy but quite good for the investors. 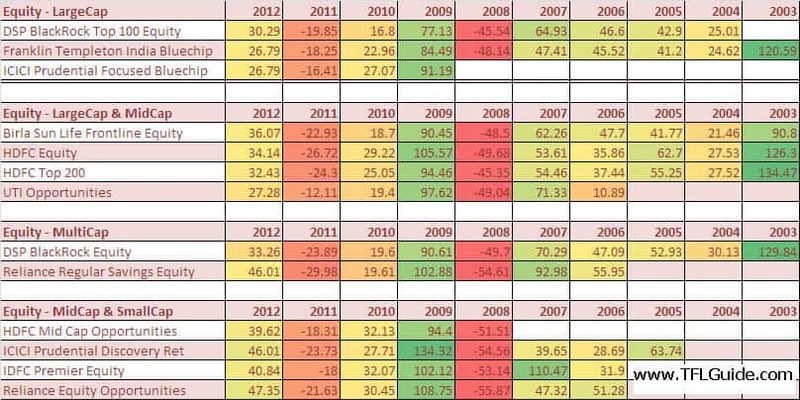 The end of 2011 was a low point for mutual fund investments. 2012 turned out to be a positive surprise for mutual fund investors. Most type of mutual funds did well during last year with gains ranging from 23 to 39 %. Going forward mutual fund investors have more reasons for being hopeful of 2013. It is observed that in first year the returns are maximum and then subsequent years they are less.Why so? Returns depend on market conditions. There is no hard and fast rule. the returns from mutual funds can never go up in a linear fashion. funds since last 20 years is around 16%. No that is not the point. I have seen every where in the performance chart of the mutual funds that first year the returns are very high then in subsequent years is diminishes and hence the query.Refer chart of “Best Mutual Funds to invest in 2013 – Balanced Funds/ Large & Mid Cap” referred above.Is it means that one should keep in mutual funds for one year for best returns.? Refer to the one year rolling return chart given above. Returns are different for different years depending on market conditions. I don’t understand your reference to first year returns. the less risky it becomes. Hopefully, your explanation will be understood. The returns are given for 1st year,3rd year,5th year,which can be for any year(and not necessarily means 2012) for different Mutual funds. I MAY STATE THAT I WILL BE HAPPY IF I GET REPLY FROM THE AUTHOR. I am not sure why there is any confusion – these tables are created on 2nd Jan 2013. I think Anil & Kuntal explained you in best possible manner. I regularly read the articles you send with regard to Financial Planning. Could you please suggest me some good performing Tax-Saver Equity Funds for investments? Anyways…. MF SIPs are going on and the funds are there in the list you’ve recommended. So I am glad. My current age is 30 years, married and i have 2 years daughter. I want to invest for long long term to gain maximum benefit. I am investing 8000/- P.m in following funds from last 2.5 years for my daughter’s future and for my Retirement. Following is my portfolio. I want to stop SIP of ICICI Infra fund and Reliance Vision Fund and want to invest in UTI Opportunity fund 1500 p.m and want to increase SIP of Reliance opportunity from rs. 1500 to 3000 p.m.
1. Is it possible to increase SIP of Reliance equity opportunity fund without stop previous SIP ? 2. Should i continue to invest in other funds or any changes require ? While selecting the funds all you have to do is to avoid a handful of really bad funds which can be easily identified by comparing the performance of the funds with index and peers. You can select your funds from the ones given in this post. For proper diversification do not select more than one fund from a fund house. Your decision to get rid of Reliance and ICICI fund is correct. You can go for additional SIP in a fund. Sir please comment should i continue with all other funds other than ICICI Pru infra fund and Reliance Vision Fund ? IDFC Premier Equity is better than IDFC Sterling equity. want some review on franklin india prima fund. Excellent Work Hemant. You have started the New Year with an extremely useful article. Well done. Although I have invesment in some of these TOP Funds., I will plan to invest in some of the others identified by you. Kindly help me out by replying to this hypothetical query. monthly saving of total 70 k – 50 k sip in equity mf / 20 k sip in debt mf . Expected returns from equity 15 % , debt 8 % . 3. If the expected returns from equity and debt vary – say expected from equity is 18 % instead of 15 % , does it have any impact on rebalancing. In other words is having a higher expectations from equity in long run say 25 years of around 18 % better if one follows rebalancing meticuously ? There is always some amount of flexibility in asset allocation. It can never be rigid and it is always subject to change due to several factors. Portfolio should not be rebalanced unless there is a drastic change in asset allocation. Another great analytical article.This will serve as baseline to invest in MF :). Thanks Hemant, really a good article nd very informative. Realy you doing a briliant job. Thanku once again nd happy new year. A special mention of SBI Emerging Business fund is required as it was able to contain downside in 2011 and excellent returns in 2012. Mr Srinivasan as fund manager has done excellent job. I really feel obliged for your financial lessons.I am a regular investor in various MFs throuh SIPs. Time permits please tell about Fixed Maturity plans, I ve curiosity to know. What ll be its special advantages over other instruments. You can invest in your existing funds if you are getting decent returns. Good article sir, But what is your opinion about contra fund & gold fund.. Excellent analytic article on MFs and will guide many like me. Great article. This is the first time I’ve stumbled upon your website,but it is really great and full of useful information. I have never invested in mutual funds,but I think I should as delivery and intra-day tends to get risky at times. In the article, you have mentioned that you have considered Rs 2000 Crore as minimum fund size for equity funds. However some of these funds giving good return, Should I exit any/all of the below funds? A portfolio should have funds from different fund houses. Do you think I have to exit from any of these? Since you are already aware of my views there is no point in repeating them. Your portfolio does not make any sense to me. In the article, you have mentioned that you have considered Rs 2000 Crore as minimum fund size for equity funds. I am afraid, I have investments in some funds like Sundaram Global Advantage…which is far less than 2000 crore, though it is a decent fund when it comes to returns. So should I stay invested or should I stop my sip? You can continue if you consider your funds decent. Thanks for this article right at the start of the year. I am very new to investing in MF. Will start investing this year onwards. 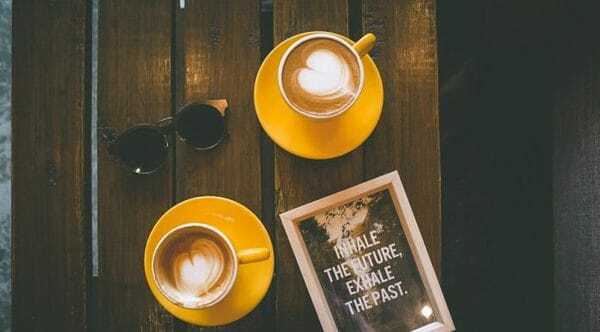 The funds mentioned above and any so in future, how long should one continue to invest in a particular fund, keeping in mind that one has long term goals to meet. Can someone stop investing after 5 years in a particular fund but redeem it only after 10 years? What is a good methodology to maximise the returns? One should continue as long as the fund is doing fine and there is money to invest.You can stop investment and redeem any time. SIP is the methodology. currently iam investing on followong funds through SIP. Can i continue or modified the portfolio. my aim is to accumulate 1.5 cr in 20 years. now can you suggest me to which fund i should exit. I am planning to invest in the following 3 MF. Is it k?Or do i need to make any changes in it? Hemant/Anil-Belated wishes for new year.I have been with TFL for almost 3 yrs and your article,analysis and comments has helped to understand the practical functioning and expectations to be set while investing.Becoz of this i was able to guide/assist my fellow people for past 2 yrs for investment decision(purely based on ur website) and it has been really worth.right now they are on cloud nine due to their portfolio allocation(based on ur approach) and the return they got.I cant say thank you to u and Anil sir but just wanted to share the credit which i got and all the benefits reaped by us are due to u and Anilji.my only request is we hope that u continue to share ur analysis and knowledge with us whenever u find time.My best wishes for both! Please explain what is 1m, 3m, 6m, 1yr etc… Does that show expected returns starting from Jan 2013 ? It does not show expected returns which can not be predicted. These are past returns. I am looking at a return of approx 10 lacs after 5 years. I have short listed on 4 funds to invest in as SIP every month for the next 5 years. Please provide your feedback for the same. Your fund selection is OK.
Can I open Reliance, HDFC, Franklin, BIRLA’s mutual fund through online? Is there any risk to open those fund through online? 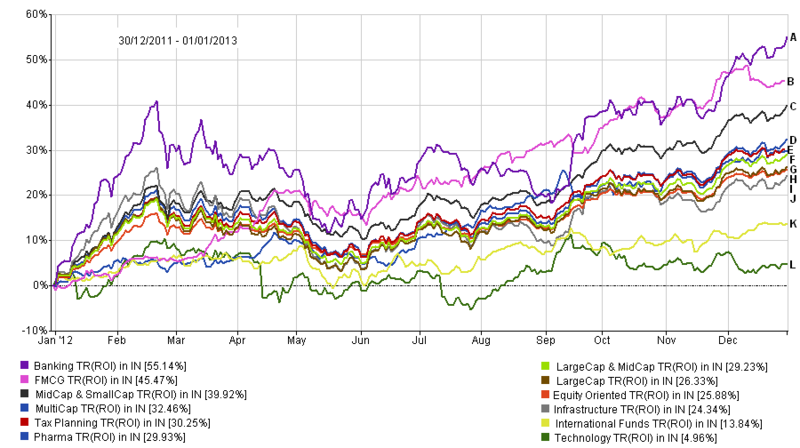 Thanks for suggested best mutual fund for 2013. Thank you very much for all your posting. It’s very helpful to us. i am new to investing . 1.please suggest me whether my fund selection is good or do i need to select any other funds? 2.1 is it good idea to invest directly through fund house with out having demat & trading account? 2.2 or should i invest through demat and trading account? You don’t need demat account for investing in mutual funds. You can directly approach fund houses.Your fund selection is OK.
1. I came to know now market is very high ,so i want know is it good option to invest in sip(HDFC top 200- rs. 1000/-)? 2.I want to know is it secure and good option to invest in mutual funds directly through fund house ,with out having a demat and trading account ? 3.will there be any disadvantage, if i invest directly through fund house ,with out having a demat and trading account ? Do not try to time the market. All times are good for investment. Most of the investors who invest in mutual funds do not have a demat account. Your answer is very much useful to me,and i am very much thankful for that. I have few questions on my Financial situation and require your inputs on the same. (Little Background: Aged 30 yrs, male, married and kid of one daughter of 1.2 yrs and a single earner.) Current Investment: 1. Term Insurance=50,00,000, 2. LIC Jeevan Anand=10614/-PA till 2023 (SA=1.5 Lakh), 3. LIC Jeevan Ankur=8814/-PA till 2030 (SA=2 Lakh), ICICI Pru Life stage wealth=50000/- PA till 2017 (SA=5 Lakh), PPF=100000 till date. Future milestone: House=50 L in 01-02yr, Children education=30 L in 15yr, Retirement=01 Crore in 20 yr. I just started with 02 mutual fund (HDFC top 200 and HDFC equity) of Rs. 1500/- every month for 12 months. 1. How I should invest moving forward? 2. What should be my time frame for those investments? 3. How i will build corpus amount down the line after 02yrs, 05yrs, 10yrs, 15yrs and 20yrs. Please provide me a balanced portfolio. Please guide. Thanks always for reading and guiding…!! You have not mentioned anything about your income and savings. Firstly you have to clearly identify and quantify your financial goals. Then you have to make a financial plan by matching your resources with your goals based on time frames and priority.You have to go for debt for your short term goals and equity for your long term goals.Investments have to be properly diversified to reduce risk. Investing in similar funds of the same fund house does not make any sense. Thank you Mr. Anil Kumar Kapila for your valuable inputs on my question and i believe, thats why I am asking you all to show me the correct path and provide me with a plan which will suit me in long run. My Thoughts on inv plan for a sal of 10L yearly whose monthly exp.are 50K (will try to reduce as much as possible) would be to park the balance saving per month (approx 20K+) for next 1-2 yrs in bank FD and fetch 8-9% interest so that I can generate a corpus of approx 5,00,000 by Dec-2014 (for House purchase) which is my next short term goal. For my long term goal like Daughter education, marriage and Retirement, requesting you to kindly provide a plan where I can invest those money in equity.May be I will start little while from now, however, I will know where i am investing. Also, I am not using any Demat a/c or not went to any Fund house, therefore, from HDFC, I did purchased these two mentioned mutual fund as i am spending in equity. I will surely give a thought on diversifying the investments, please guide. For meeting your long term goals have a diversified portfolio of equity mutual funds. 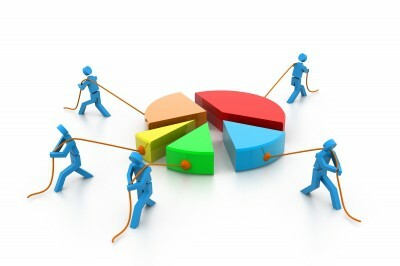 Have a maximum of four or five funds of different categories in your portfolio. Not more than one fund of a fund house should be selected. Monthly SIPs work best. My target is for 5 to 10 years duration. Should I stick to these funds? How much return can I expect after 5 to 10 years? Please guide me. You can stick to these funds. For most of the mutual funds mentioned here, returns for 1yr are high as compare to 3yrs. I would like to know what tenure should we select in this case for investment – 1yr or 3yrs? I am new to this. Please guide me. Investment in equity mutual funds is done to meet your long term goals. Hence the tenure should be long say more than five years. I am planning to buy flat next year, by that time i need money for down payment. I can save another 30,0000/- per month apart from above investments. Please suggest me the best options to help achieve my goal. I am a new investor. Can I open Reliance, HDFC, Franklin, BIRLA’s mutual fund through online? Is there any risk to open those fund through online? I need one serious advice. Recently i lost my younger brother at the age of 45years. I want to arrange a corpus of 10lakhs in 10years for my brother’s 13year daughter for her marriage. I want to put Rs5000 p/m in one of the mutual funds .Please specify which scheme and MF and tell whether can i achieve this? You can select two or three diversified equity mutual funds for your portfolio. Keep tracking the performance of your funds after starting your SIPs. I am 50 yrs old and new to this MF investment. From the list provided by you, I have selected the below funds to invest through SIP for 3 years with Rs.2500 in each fund. Can you please suggest whether I can proceed with the below list or should change any. You have selected too many funds. Can you please provide information on Target Investment Plan (TIP) by ICICI direct? As already stated, I am 50 yrs old and new to this MF investment and as suggested by you that I have selected too many funds, I have modified my selection as below funds to invest through SIP for 3 years with Rs.5000 in each fund. Can you please suggest whether I can proceed with the below list or should change any fund or change the amount. You have mentioned the duration of SIP as only three tears. From your selection of funds your objective of investment is not clear to me. I am in a impression that, the SIP can be enough if we invest for 3 years. Please suggest. As I already told you that I am new to this MF investments, please guide. Investment in mutual funds is done to meet your long term goals. Before designing your portfolio the objective of investment must be clear to you. Investment portfolio is not an end but means to achieve your goals. DSP BlackRock Top 100 Equity Regular,Birla Sun Life 95 through axis,hdfc,sbi bank? Any bank account can be used for mutual fund investments. Recently, i passed my college. now i am working. please ! give your advice for SIP investment (Portfolio) and other important tips for finance. What should be the ideal bifurcation of the total SIP amount. lets say for SIP of 20000 per month what percentage should be divided in each – large cap, small and multi cap, mid cap, balanced fund etc. Around 60% in large cap and balanced funds and balance in other funds. now i am planning to start another SIP 10000 per month. any valuable suggestions from your side, like in which funds i need to invest into? For diversification it is better to avoid the fund houses where you are already invested. Franklin India bluechip, ICICI pru top 100, UTI oppurtunities, Birla frontline equity, Canara robecco equity diversified?? Are the funds i already invested good for long term horizon (10 + years)? You don’t need so many funds. The article is very informative and really helps a person like me to know How a SIP works. I am 34Yrs old and I would like to invest in SIP, iam new to it. Will you please help me or suggest me in which I could invest. My budget for SIP investment is Rs 2000/pm. The investment is mainly for my son’s education expenses.He is 10 year old, last year I took LIC Komal Jeevan,of a sum assured of 1 lakh, is it good, the premium is 15000/year for 10 years..please suggest me regarding this, and is it pan card necessary for SIP. Where to contact in Mysore.Waiting for your valuable comments. You can start with a balanced fund. Proof of address and identity is needed for KYC compliance.Hence PAN Card will be needed. Fund house can be approached for investment. I have a Endowment Fund in Birla Sun Life Insurance with the Rider option. The fund is SUPER 20 with majority of the amount going for equity. Policy term is 20 years and 5 paying years and I have paid premium for 3 years sofar. I took the policy from a relative and had no idea about funds, now when analysing the performance (from Dec 2010) the return is very poor. There is an option to diversify the funds among the other Birla funds, how should I diversify the funds among equity and debt(we need good returns featuring child education (2 year child), retirement(age is 30 as if now)). Insurance and investment have different purpose and should not be mixed. This investments are for my daughter college and marriage and my retriement. – retriement at 15 year expected 25 to 30 lak. As I am starting my inestment, I am planning for one year to start with. Pls advice on my fund selections and amount sharing amoung the funds will help me to acheive my target. Can you pls help to my request. If you need any more information, I will provide. Your fund selection is OK but you need to invest more to meet your goals. I want to invest Rs 4000 in SIP. Please suggest. Iam investing Rs. 1000/- monthly in SBI PSU fund for last 3 yrs. Please tell me the future of fund as till date its growth is (-). Investing in sector funds is risky. I have invested in SBI emerging mutual fund and SBI Pharma fund SIP monthly Rs.5000/ each for the period of five years. Please let me know is it OK.
For diversification it is better to invest in funds of different fund houses. You may argue or put it simply that the risks a person takes depends on his age, goal etc… whatever the reason, is it really worth taking high risks just to earn a little extra (comparing fixed 9% to variable 12-15%)… Pl let us know your views!!! Asset allocation is the key. Equity is growth engine, debt is safety air bag and gold is lifeboat of a portfolio. Grateful, if kindly guide me whether I should maximise contribution to my EPF or invest the additional amount (planned for routing to EPF) through SIP for long term wealth gain. Which will be more beneficial? Equity and debt both are important. Have proper asset allocation. which is guaranted or allocate some amount to mutual funds through SIP for long term growth? Kindly clarify. Investment in equity mutual funds is done to meet your long term goals. The mix of equity and debt that is right for you depends on how far you have to go and how fast you need to get there. Am investing Rs.4000/month on mutual funds through SIP from Feb 2012.
my question is Can i continue this or i have to make any changes in it? It is better to invest in funds of different fund houses for diversification. I have SIP in following funds : 1)ICICI Pru Focused Bluechip Retail(G)(Rs. 6000 p.m) 2)L&T India Large cap fund(G)(Rs. 2000 p.m.) 3)IDFC Premeir Equity Plan-A(G)(Rs.4000 p.m.)4)Reliance Equity Opportunities(Rs.1000 p.m.).After investing for one and half year, recently I checked the performance of these fund and found that L&T India Large Cap(earlier known as – Fidelity India Growth)is performing at average level.Should I switch to another fund in the same category? Please suggest some funds , if yes. You can select any large and midcap fund from the table given. Track the performance of the fund. I am planning to start SIP from April 2013 as below. Can you please advice whether the selection is good or some to be modified. Sector funds are risky. Insurance and investment should not be mixed. Intresting article(s) and discussions. It shows that the awarness of the investment is on an increase. Just a comment – For a NRI account holder do you think that instead of investing in Debt fund it will be better to have a fixed deposit where the interest rates are around 9.5% (compounded). For the felxibility either the deposits canbe of various tenure or the totla deposits canb ebroken up to various small ones whihc can be cashed whenever requied. Kindly advise me regarding HDFC SAP and LIC Policy. I am confused after reading your articles. Should I keep paying for these two policies or should I stop paying. This year I have closed and claimed Additional amount of Rs. 121901 from Approved Super Annuation Fund (A Trust managed by my organisation, means I will receive two Form 16 one from my organisation and another one from Trust). Please guide whether I am required to pay additional Income Tax if I club both the income as per IT Rules ?? if yes, please let me know how much amount I am required to pay as advance tax to avoid penalty / interest. I have a policy in icici LifeStage Pension Advantage, annual premium is 50,000/ ,i have taken in 2010,till today i paid 3 premium of 50,000/ total 150000, but growth is only 151400,,,my ratio of invest is 90 perc equity and 10 perc debit,,should i change the ratio as per present . Gr8 article. Thanx. I have some queries. I am 39 years , my net sal is 75k, My expenses are 35k, I do Recurrring Deposit of 15k. I want to do SIP of 10k in the following funds……. Is this correct with a horizon of 10 years? I don’t understand why you have selected SBI funds. I wanted to have balanced fund and MIP also in my portfolio. What should I choose there? Should I go for HDFc Prudence for balanced ? Then what for the MIP ? Selection of funds depends on your objective which is not clear. Your fund selection is good. You could have managed with even three to four funds. Thanks Mr. Anil, I have actually followed the guideline of 7 funds. I will drop Reliance Equity Opportunity and ICICI Pru Focused Bluechip Equity. These funds are also quite good and can be retained. Large cap,large & mid,small & mid cap,balanced,debt etc? Of this 30000, Rs.5000 I have already invested in SBI emerging business. This is a really helpful and informative article. Thanks! (b) approx. (5*8 %) of 1000 ? well i am investing in MF SIP for HDFC top 2oo G for 10k for past 2 years, franklin India Blue chip G for 8k for past 1 year also IDFC cash fund g +BSL frontline equity for 2.5k pm for last 3 months. Please advice me about the above selection to continue or change the script. As I have completed 50 years now and to plan for my retirement, I planned to invest in the following MFs. Request you to suggest whether I can go with these selected funds please. While you are planning to invest for retirement you need to answer questions such as how much volatility in your investments you will be comfortable with?Are you planning to earn any regular income after a specific period? Is this will be the only source of your income or how much of this surplus you will utilized for generating regular income?. These questions will help you in analyzing what kind of portfolio you should look at. Should it be equity oriented or debt oriented will result from such analysis which will also give you the schemes categories to select.Your schemes selections are good but create a portfolio after analyzing your needs. You can consider these funds if your investment horizon is around ten years. You could have managed with four funds. I am 38 yrs old and as per your advise I am investing in the below mutual funds as monthly SIP for the past two years. Kindly suggest me if my portfolio is balanced in the current market scenario or should i change my asset allocation. Reliance Gold saving fund is in negative for the past 7 months, should I continue to invest. I wanted to increase my SIP allocation by 2000 rs more, can you please suggest in which fund should I start SIP for this additional 2000 rs. Thanks always for your kind inputs and help. It is better to invest only in one fund of a fund house. Additional amount can be invested in existing funds. total value is less than the cost .provide me a direction pls. Asset allocation is the key in investing. 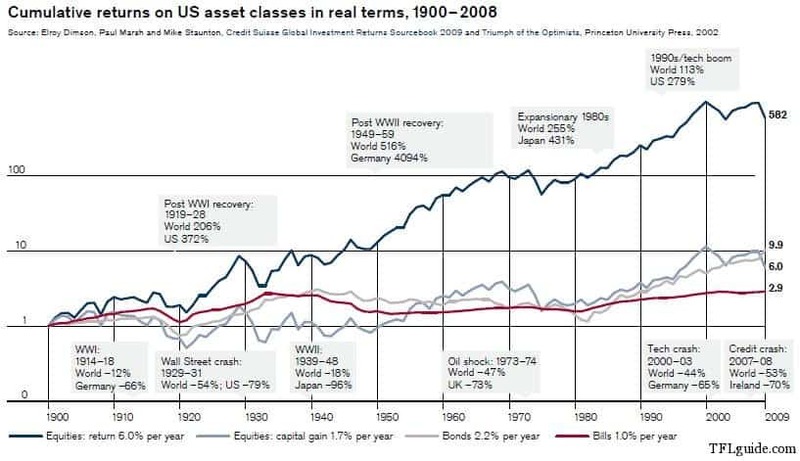 At any time some asset class will not do well. You have to consider the overall performance of your portfolio. Exposure to gold should not be very high. Even I have the same doubt as Mr. Madhavan. Infact, the amount of SIP and tenure is also same. I am investing in HDFC Gold Fund. Please provide us some guidance. Performance of gold fund will depend on the price of gold and it is not possible to predict how the price will vary in future. Keep the exposure to gold low in your portfolio. Ishika-There was even a situation some 6 months back when gold was touching high reliance was giving 30 % return and in the same period HDFC was at 15.6%.I guess ur selection is good when compared to mine as i get hit when its low and i ride high when its vice versa where u could sail with a minimum return by banking with HDFC. Thanks for the article, My question is during the asset allocation, how much percent should allocate for sector funds. Like large cap 50%, large and mid cap 20% and small mid cap 30%. so where should we put the sector fund and how much? My second question is HDFC top 200 fund is large cap or large& mid cap. In money control site its is come under large cap and other sites as large and midcap. similarly Birla frontline equity fund, Quantum long term equity fund is come under which category? Every rating company has certain parameters and within which they decide the categories. Yes it can vary as the name of categories may be different . You should look at the fact sheet which will tell you the definition of a large cap and a mid cap fund. The portfolio of the respective scheme will give you information on the exposure the fund is taking in different stocks and how they are classified as per the definition of large cap or midcap. I am totally new to Mutual Funds. 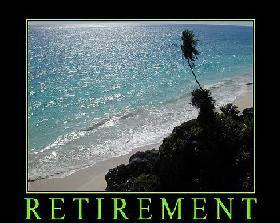 I am 30 yrs old and plan to retire around 45 yrs. Request your guidance as which funds i should invest and how much. Is it worth to invest in Mutual funds by seeing the past trend? I feel mutual funds gave returns since in the past the sensex has gone up fromm 10,000 levels to 20,000 levels so only it was showing high returns like 25% to 40%. So whether to invest in MFs when the sensex is in high time now ? and to get the returns like 25% should the sensex reach 30000 levels ? though the fund is not directly linked to the sensex, sensex shows the behavior of stocks so I compared the fund with sensex. I am 43 and investing Rs 86000/- through MF SIP every month. 11) BSL Gen Next – 5k. Please advise whether my portfolio funds are good and sufficient enough to achieve the goal of 10 cr in next 15 years or not? If not, then what should the suggested portfolio and Fund mix? I want to open SIP in a mid cap i.e. Quantum Long term equity fund for 10-12 years. You can go ahead with fortnightly SIP. Please suggest how much I could invest in every months so that I can achieve my goal. Hello sir, My age is 42. I want to invest Rs. 6000 as SIP in mutual fund. Please suggest me the funds, I should invest in. I am already investing 1000 in SBI PSU fund and rs 2500 in Birla sunlife ins. policy. Please also suggest, shall I continue SBI PSU fund as the rates have gone too low. What are the chances of recovering of this fund. Hi sir, My one friend invested in Reliance mutual fund, he is very satisfied with good returns so i am also planning to invest 50,000 Rs. in Reliance Mutual Fund. will you tell me if i will invest now then which scheme will give good returns in next 3-5 year. waiting for your reply. I wan to start SIP for my future. My age is 24 now, I want 5-6lakhs after 5 yrs. Please suggest some good funds. Rs. 3000 , ICICI FOCUSED B CHIP Rs.3000 , HDFC MID CAP Rs.2000 . I further want to invest 7000 in sip , I have shortlisted few funds , please guide me to select 3 of them. If these are not better, then please suggest other ones, also give comments about my portfolio is it balanced or not. waiting for the reply. I am new to MF. i am 31yrs old. i want to start invest in MF through SIP. 2000Rs in ICICI pru focussed bluechip fund(G) & 1000Rs in SBI emerging Business fund for a long term of 25 to 30 yrs. I am 40yr.old. if i invest 1000rs monthly in which MF then i will get good return on investment upto 60 yrs of my age. can you please suggest me which is good? I am middle class person so i didnt understand in any investment can u guide me? How i can contact to you? After looking at the last three year return for DSPBR Top 100 equity and ICICI Prudential Bluechip , is it advisable to switch from DSP to ICICI ? Or till now whatever invested in DSPBR leave it as it is and then start new SIP with ICICI bluechip. I have Franklin India Bluechip & HDFC top 200 as well, I invest 4k per month in each. Choosing to exit from any fund is a decision which you should make after analyzing well on various parameters . If one scheme has not performed inspite of its peers doing well then it may be a reason to switch . But good to find out what made its under performance so that you know about its prospects to do well. Very informative blog and thanks you for keeping us financially aware. My age is 28yrs. Below is my portfolio and doing SIP (Growth Option) from Nov 11 when it was from Regular mode which I converted them to Direct Plan for avoiding any charges. I have Kotak Term Insurance of 25 Lac with 5 lac of Aegon Religare Health Insurance. Also have LIC Money back Policy of 50k. Also investing in PPF for saving purpose. Please review my portfolio and advice any changes required and whether I can add International fund and Pension Plan ie Templeton India Pension Plan with NPS. I am investing into SIP frm last one year and now i want to revisit my portfolio once again in order to ensure if there is any MF SIP Plan which is not performing well should be switched out or to continue with the same. Scheme Starting Date	Monthly Inv. When would you revise this list. best Mitual Funds to invest in 2014-15. eagerly awaiting. May I request to write a article on options available for investments for people above 55 or so. Yes, separate recommendations for people above 55 and also for those above 70 years would be welcome as long as the list of best Mutual Finds is also updated and made to meet the financial aspirations and expectations from the policies of the new Govt. myself vivek and my age is 26.Currently i am working at a soft company with take home of 35k pm. married i can start thinking of any insurance for my family. I have remaining 10k in my hand.so thought of investing into mutual funds for long term. Are My understandings correct ? or should i include one ELSS fund and balanced fund(as i already plannin to put some in FD) in my portfolio ? can u help me to select proper funds and how much i can invest in these ? I am planning to invest in below mutual fund can plz suggest/advise me whether the fund chosen by me for long term goals are ok to invest or not. Plz advise me on the above it will be great help for me.